When doing hydroponics or gardening in general, you have to think about all the different inputs that your plants need to thrive. Of these, water might seem like the simplest to secure, since it is available right in our homes. But things are not as simple as that. It all depends on where you get your water from, and these days, finding good quality water is a hard ask by itself. Tap water quality in many parts of the world are of questionable quality at best, and a lot worse in many instances. The situation is dire even here in the United States. If you are a regular visitor to our blog, you may already be familiar with some of the problems posed by municipal water to plants in a hydroponics system. If not, you can find that blog post here. In that post, we had highlighted Reverse Osmosis and Distillation as some of the more advanced options for dealing with poor quality water. In this post, we will focus on distillation and how it affects plants. Distillation is a process that combines evaporation and condensation to separate components in a liquid mixture. It can be used to remove impurities and create a pure form of a liquid. In nature, all substances can be vaporized at a particular temperature. Distillation exploits the fact that different substances evaporate at different temperature levels. Distillation is a common industrial process, used to create substances like gasoline and other petrochemicals, alcohol, and of course, distilled water. Water does not exist in its purest form anywhere in nature, because of its status as the "universal solvent." Something or other will always be found dissolved in it. The liquid that we get as a result of this steam distillation is distilled water, which will be much, much purer than the water we started out with. Distillation is a crucial step in the process of creating purified water. When talking about distilled water and benefits for plants, we have to understand one important distinction: distilled water is not necessarily superior to natural water for plant health. Pure water in nature contains dissolved minerals, many of which are highly beneficial for plant health. But in the modern world, thanks to widespread pollution, most waters contain a host of pollutants, chemicals, and other toxic impurities. This is one of the main reasons why we are forced to consider steps like distillation and reverse osmosis for our plant cultivation requirements. That being said, outdoor cultivation in soil does not really require distilled water, unless we are talking about a severely polluted water source. In most other instances, regular plants have several defense mechanisms against impurities. The soil often acts as an effective barrier that protects the roots of the plants from many impurities in water. This can, of course, lead to a buildup of contaminants. This buildup is the main threat to plant health from dissolved impurities in tap water. But then, rain is often an excellent cleansing agent as it washes away these contaminants from the soil. So, if we are talking about ordinary tap water which is almost up to the standards prescribed by the EPA (or even slightly worse off), you can probably get away with using that in your outdoor gardens. There are several special instances where using distilled water can be justified: one is for indoor greenhouse gardening. The other of course is hydroponics. These are both highly contained and controlled growing environments. By that, we mean that external factors like rain do not play any significant role here. This can lead to several consequences if you use even marginally unsafe or contaminated water. In a closed grow system, there will be a heavy buildup of contaminants within the system. In greenhouses, the soil around the roots will start to accumulate these impurities. Often, greenhouses are used for very sensitive plants (like orchids) or as nurseries for young plants. The buildup of contaminants and impurities will have a severe effect on the crop, reducing their growth and yields, and can even wipe them out in the long run. 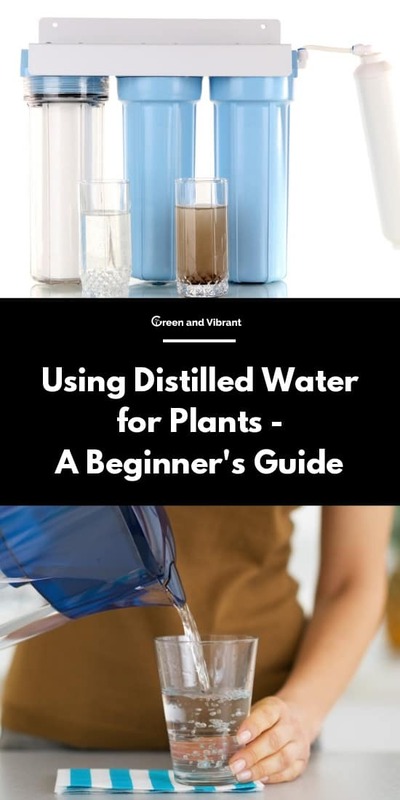 With this in mind, many gardeners prefer to use distilled or otherwise purified water in their greenhouses. In hydroponics, water has to a play a central role in the absence of any soil. This means that any dissolved contaminants or impurities will have an even more crippling impact on the grow system. Without any soil to filter out impurities, the chances of chemical and mineral accumulation and plant roots, and in the growing media increase exponentially. Also, in hydroponics, water is the only vehicle for delivering nutrients to the roots. The water quality and pH levels can impact how effectively the nutrient mixes are delivered to the plant roots. If your tap water is of exceedingly poor quality, or if your local water supply has high pH water (like water from wells) this can spell bad news for your grow system. Minerals and contaminants may build up at the roots, while your plants starve from lack of nutrients. In such exceptions circumstances, distilled water can be a viable alternative. And using distilled water also synergizes well with the entire concept of hydroponics: where you have complete control over all the inputs. Using distilled water means that you even have control over what is dissolved in the water you supply to the plants. This can also lead to some significant challenges though, which we will explore next. Rule number one of hydroponics when adding water to your system is that you have to check the pH level at all times. This is crucial to ensuring that your nutrient mixes are effective at all times. There are many stories of hydroponics growers getting indifferent or mixed results from growing plants in distilled water. The same individuals often find similar or even better results when they use tap water instead. There are two probable causes which could affect the hydroponic performance of distilled water. They are water pH and hardness. The ideal pH range for hydroponics is generally somewhere close to 6 (or between 5.8 and 6.4). This is the optimal range for most plants to draw vital nutrients in the correct proportion. Pure distilled water pH would be closer to a neutral 7, but it doesn't stay there for too long. Pure water is highly corrosive and will react with CO2 in the air to form weak acids that bring the pH closer to 5.8 or 6. Whenever you add distilled water, always the check the pH to ensure that it is within the optimal range. That leaves us with water hardness. This is determined by the amount of minerals dissolved in the water. These minerals include calcium and magnesium. Ordinary water contains a not insignificant amount of calcium and magnesium. These alkaline minerals help raise the pH of the water. They are also important for the health of plants. 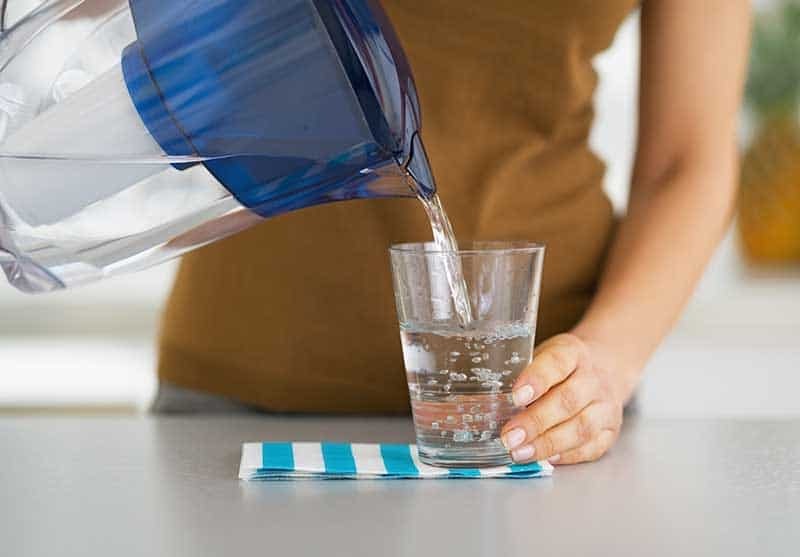 When you distill tap water, its mineral content is reduced to zero. Hydroponic nutrient mixes are balanced to work in water that is expected to contain low to moderate levels of calcium and magnesium. So if you use distilled water, the nutrient mix does not have optimal mineral balance and/or pH levels. One simple yet highly effective method to counter this is to add Calcium and Magnesium supplements, popularly called Cal-Mag to distilled water. Add only if pH levels are within 5.8-6.2 for best results. One easy but potentially expensive option is to buy distilled water from your local store. But you can easily distill water at your home. There are numerous guides on the topic, including video and step-by-step, available online. The basic concept is simple: you boil the water in a closed vessel, with a smaller bowl above the water (either floating or suspended somehow). The lid of the vessel is cooled using cold water or ice. The tap water boils and evaporates, forming steam which rises to the lid. When it touches the cool lid, it condenses, forms pure water droplets which get collected in the bowl. This water in the bowl is distilled water. If you want something more elaborate, you can use a chemistry lab distilling apparatus (tube) for the task as well. 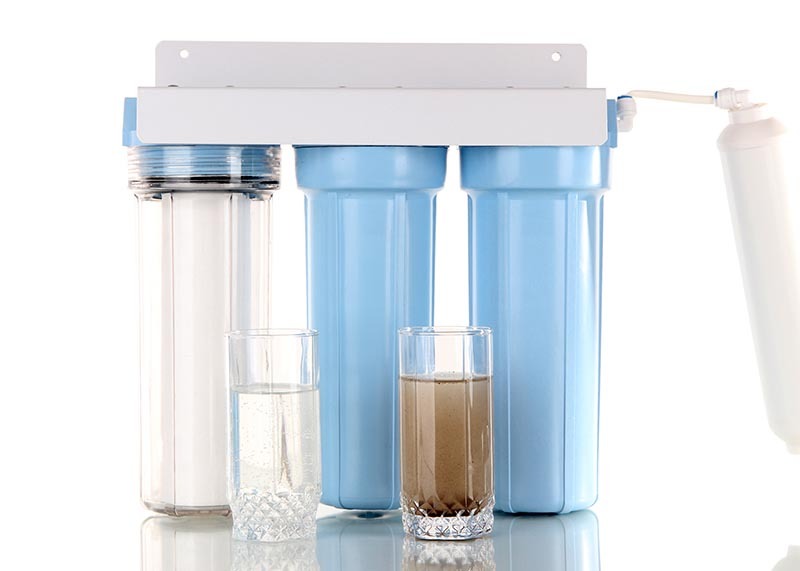 Water purification is not an easy task. Advanced methods like distillation and reverse osmosis are energy intensive and can cost a lot more than using just ordinary tap water. In most instances, using ordinary water is more than adequate for hobby-level hydroponics. The rule of thumb here is that if the water is safe for your consumption, it is safe for plants as well. You just have to take a few basic precautions to remove chlorine and other impurities. But if dealing with severe instances of water contamination, or growing very sensitive plants, distillation becomes a more viable option.